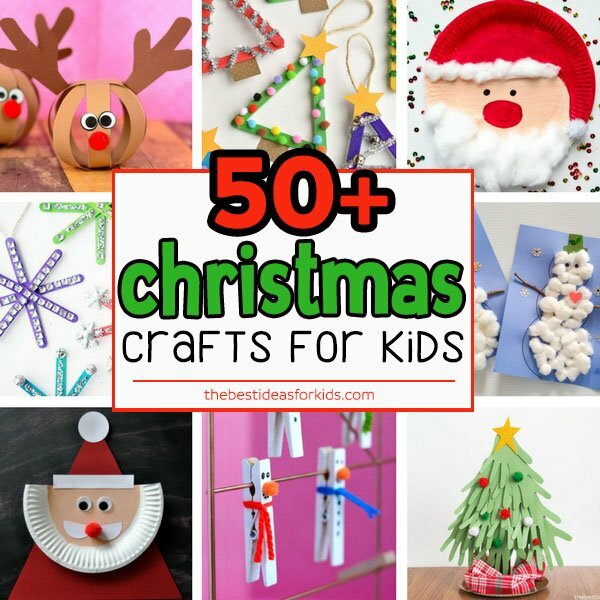 With Christmas just around the corner, this easy Santa craft is the perfect Christmas craft to do with kids! 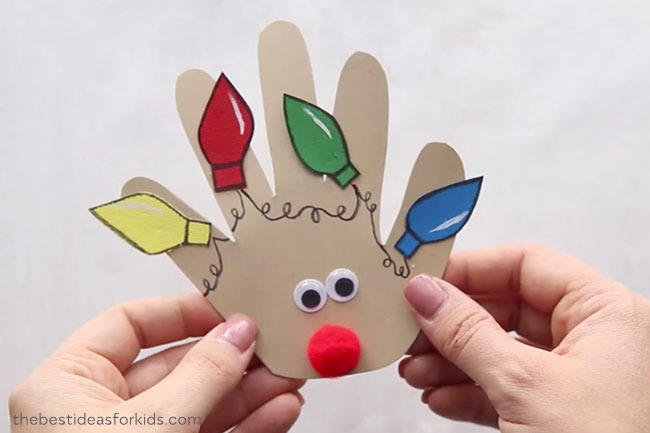 Not only will kids have fun making their Santa Claus, but you can also turn it into a card that can be given as a Christmas gift. 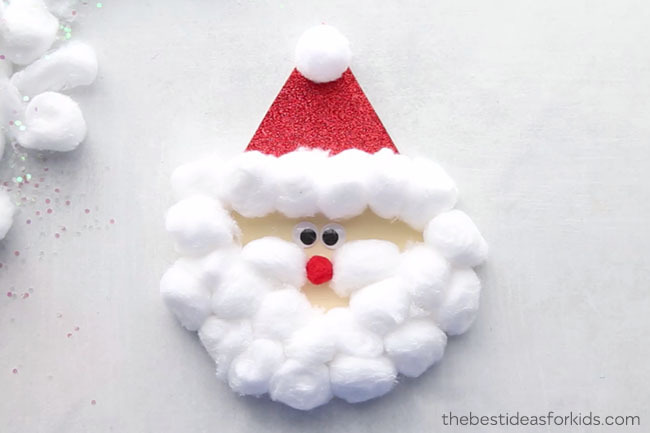 Kids will love putting this cute Santa together. 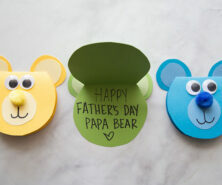 This craft is made even easier with a free printable template! 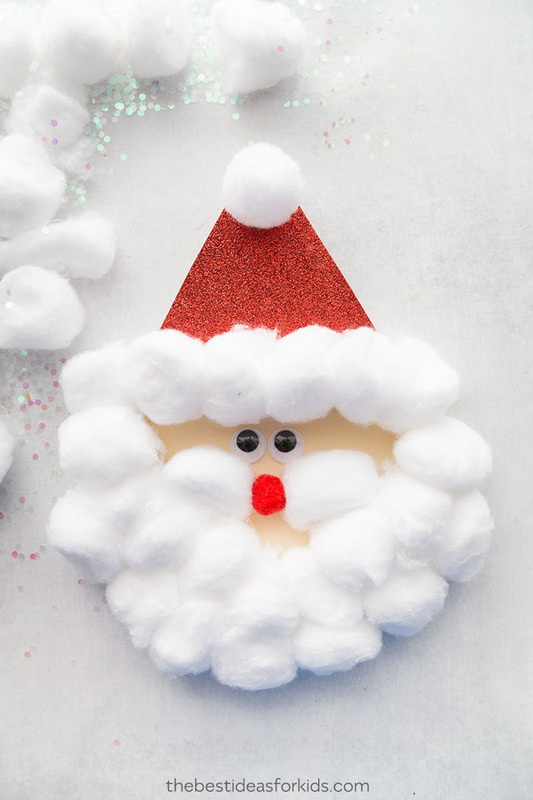 We love how easy and simple this handmade Santa craft is to make! Even if you’re not crafty, we promise you can make this. 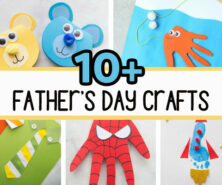 You just need to grab a few supplies for this craft. 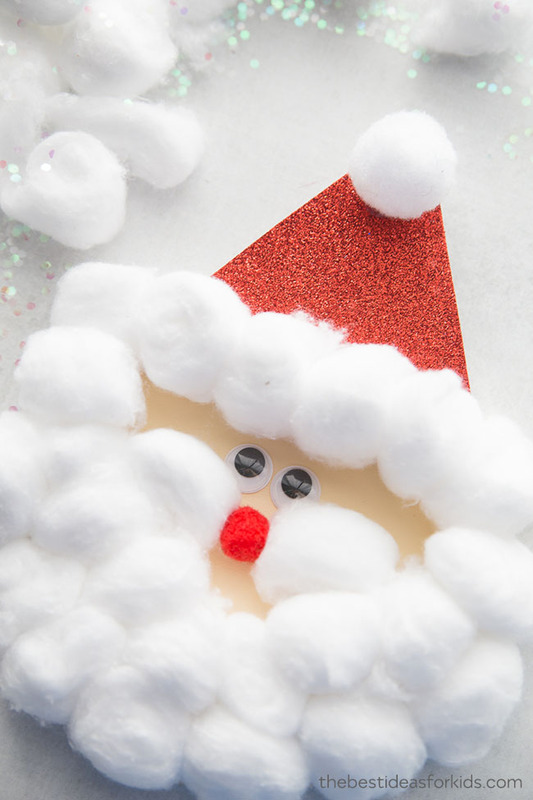 And your kids will love making these fluffy Santa cards for Christmas! – Glue – we like to use this extra strong non-toxic glue which is perfect for kids to use but also works well on pom poms and cotton balls! 1. First print out the Santa template (you can get the template emailed to you as a free gift by signing up to our newsletter on the form with the preview of the Santa template). 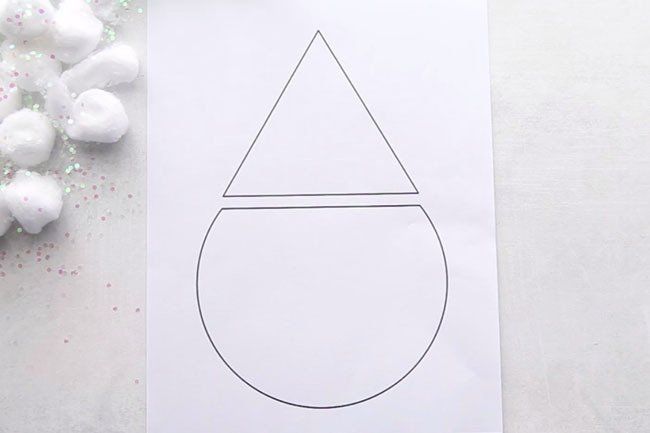 You can also free-hand draw the shapes below. 2. Cut out the template elements. 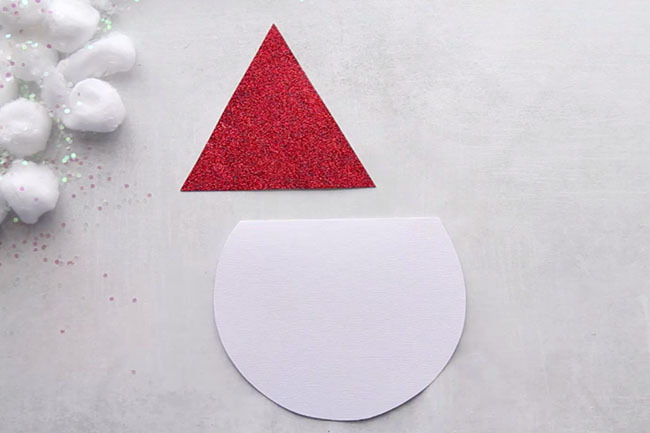 Then trace around your template elements on red glitter paper for the hat and white cardstock for the face. 3. 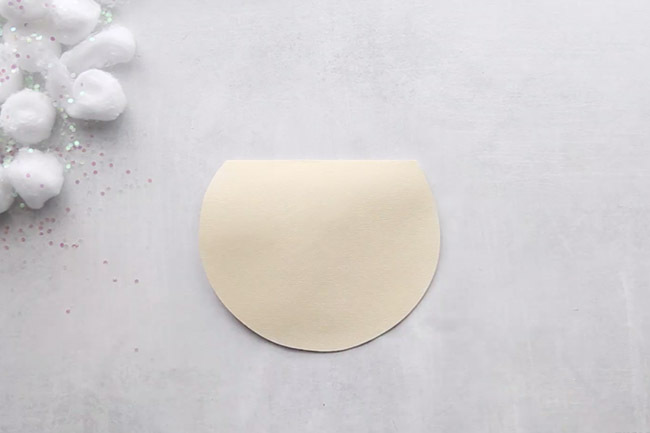 For the Santa face, fold your cardstock in half and then trace the face part of the template so that the card will open up. 5. Glue the hat to the top of the face. Now you can start adding your cotton balls to make the brim of the hat. Glue the cotton balls all of the way around the face, leaving a portion to add the eyes and nose. 5. Now glue on the two googly eyes and a small red pom pom for the nose. Add a white pom pom to the top of the hat. We also added two cotton balls to the side of the pom pom nose for a mustache. 6. Write “Merry Christmas” or another special Christmas message inside. 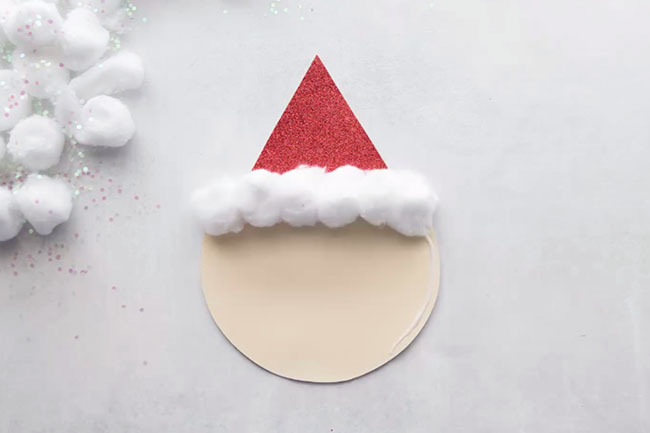 Sign up for our Newsletter and get this Santa Template as a thank you! These handprint Christmas cards make the cutest keepsake for Christmas! 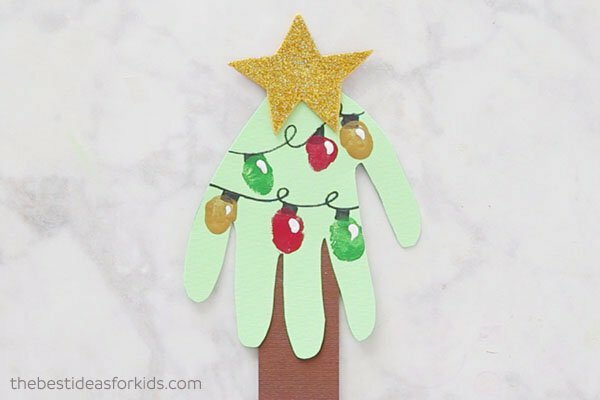 This Christmas tree handprint card includes fingerprints for the lights!